A dialogue that exploits the potential to develop new work offered by combining the 40 completed drawing from the talking Heads exhibition. Various groupings of four drawings are selected and arranged to stimulate fresh possibilities, extending themes and ideas. 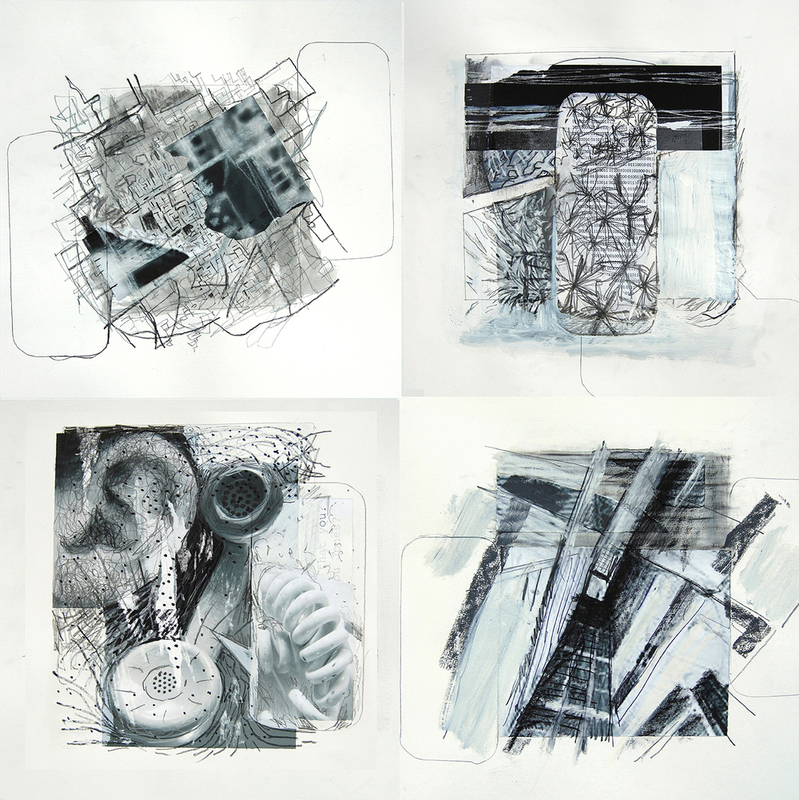 Each composite is 46cm square, with combinations composed of four drawings (one set arranged/grouped after those made on each single day and another set selected from across all 5 days). 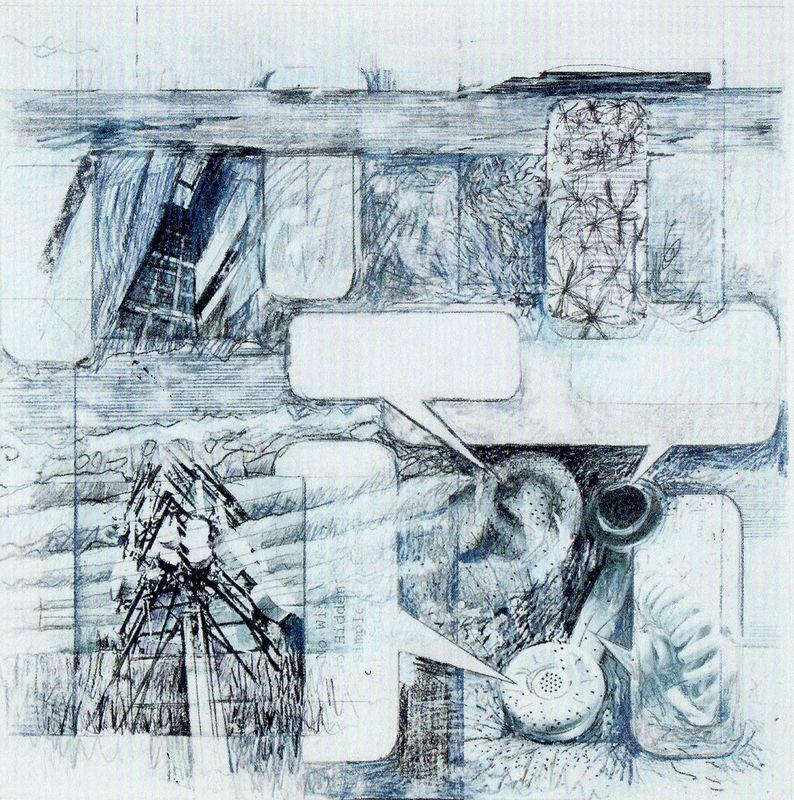 Photographs of the initial drawings are edited digitally. These are then printed on fine art paper and drawn back into to develop the potentials of the composites, as hybrid drawings. These developed through the drawing dialogue into Crank Call 1 (selected for the Jerwood Drawing Prize Show 2015) and Crank Call 2. In their turn, these pieces fed directly into the processes and initial starting points for the 20 drawings that make up 'Disconnect'.